Latin American model of Church | Walk with us! A parish community served by Nossa Senhora de Graca in the South Brazilian Province. 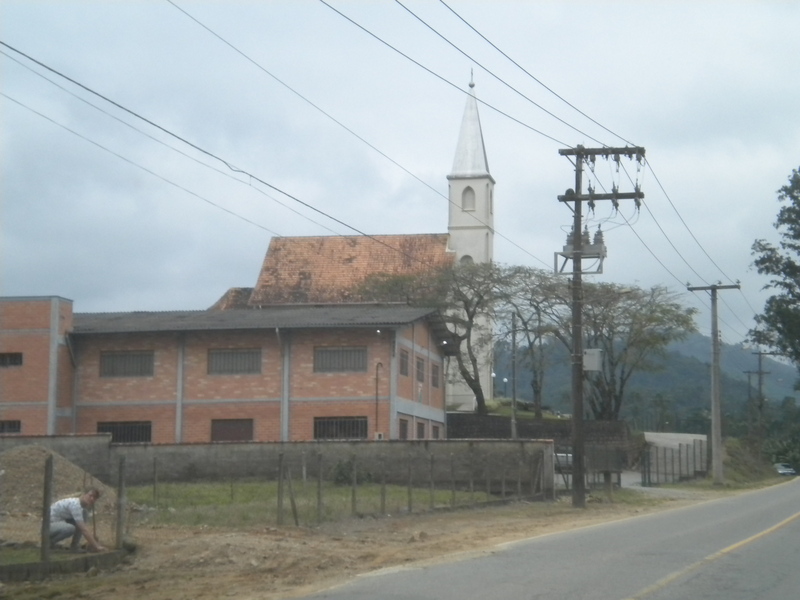 However, while there may be European traditions, the church here is definitely run along the Latin American model — large parishes are composed of smaller communities, from half a dozen to 20 or 30, each community with its own chapel and facilities for religious education, meetings, and social activities. They are similar to what we would call “missions” in the United States. They range in size from tiny one-room buildings to large complexes. I tried to explain to some of the SCJs how parishes work in the United States, and they were scratching their heads trying to understand how one large parish could only have one community. (Ironically, many US dioceses are now closing and merging parishes, and since we don’t have any other model of parish to work with, many people see a pastor’ being responsible for several different communities as a bad thing). I also saw something else which was different from my own experience: all of the seminaries I visited — three in South Brazil, two in Central Brazil, and one in Maranhao — had SCJ parishes and other SCJ ministries in the same city, so that the seminarians were able to do ministry in an SCJ context, the other SCJs in parish ministry had “a home away from home” at the seminary, and the seminary would also serve as an additional resource to the parishes, for retreats and other gatherings. Lay Dehonians and other leaders would often be included in SCJ social gatherings. Another surprise for me was the fact that nearly all the parishes I visited in Brazil published their own full-color, high quality monthly or bimonthly magazine, which contained not only the news which a weekly bulletin would carry, but also magazine-quality articles written by SCJ or other columnists — another indication of the SCJ commitment to education and training.